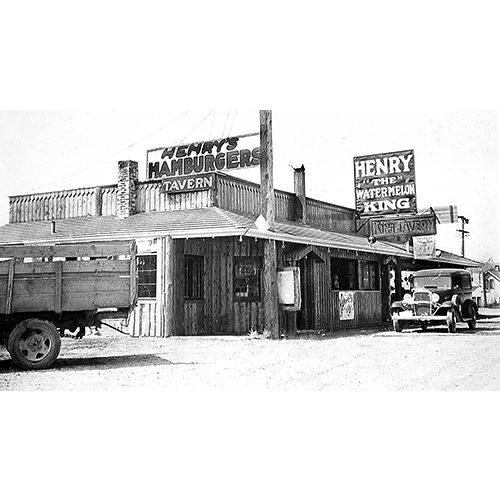 Henry Lemm built three eateries as he moved westward along Bothell Way in the 1920s and '30s. Starting with a hot dog stand at the Wayne Curve, he operated a tavern and cafe at 73rd Avenue NE before settling in 1931 at 6215 Bothell Way with this building that offered hamburgers and watermelons (in this 1938 photo). The location overlooked Lake Washington and is today's Cozy Inn Tavern.